To introduce Entrepreneurs to interested VCs and Angel Investors. For Eighteen Years FundingPost has worked to bring entrepreneurs together with leading investors worldwide. We believe that it is important to reach investors in every medium possible - both online and off line. Through our successful Venture Capital Events in 23 cities, Venture Guide Publications and magazine, and our online Venture Exchange, FundingPost has had the opportunity to work with thousands of Angel and Venture Capital investors representing over $107.69 Billion. We've seen Millions of Dollars raised as a direct result of our Online Exchange, our Magazine, and our National Conferences and Events. We work with more Real Accredited Angel Investors, Family Offices, VC Firms, Corporate Investors and Entrepreneurs than anyone else. We have a dedicated, professional team that works hard to make introductions from Investors to entrepreneurs every single day! 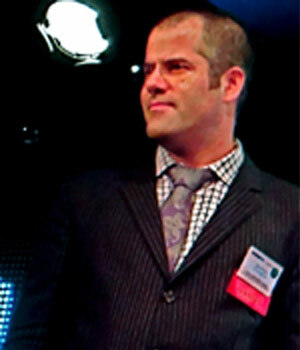 Joe Rubin is the Managing Director and Co-Founder of FundingPost.com. FundingPost has been introducing entrepreneurs to investors nationwide for 15 years through its Online Venture Exchange, Dealflow Magazine and organizes Venture Capital and Angel Investor Conferences in 23 cities nationwide. Joe has also invested in dozens of seed deals over the past 12 years as an Angel and Fund manager, including Sticky, Inc. (acquired by Splashtop, Inc.), Senscient (acquired by MSA Safety Inc.), appMobi (acquired by Intel), and Giftworks (acquired by Frontstream Payments). Joe was an investor and on the advisory board of Offermobi (acquired by Moko.mobi), Human Demand (acquired by Ignition One) and Gozaik (acquired by Monster) and a current advisor and investor in Augmate. Joe spends most of his time working with investors and helping early-stage entrepreneurs, and speaks at events on topics such as early-stage investing, crowdfunding, and pitching to investors; and has spoken at events such as the NYC Economic Development Corporation's Jumpstart and Fasttrac Programs, Early-Stage-East, FashInvest, The Open Source Fashion Conference and Connecticut's CTech. He is a speaker at and sponsor of the UCLA Private Equity Club and Disruptive Technologists in NYC, and a Mentor to Angel Groups such as 37 Angels, TopStone Angels and Accel Foods. Joe is also a Co-Founder and General Partner of ARC Angel Fund I & II, a seed tech fund based in NYC, which has invested in over 30 companies, including: Upnext (Acquired by Amazon), Medivo, Sidecar, Careerminds, Kanvas (Acquired by AOL), Moviepass, Benestream, Cirrus Data and Statsocial. He is a prior board member of the Crowdfund Intermediary Regulatory Advocates (CFIRA). Prior to FundingPost, Joe was instrumental in helping to raise $2.5 Million in angel and venture capital for his dot.com start-up producing a family-friendly network and over 100 flash-based video games which were playable online and sold as a compilation in stores like Comp USA. Joe was also the Webmaster at Knight Securities (NASD: NITE), where he helped to design its online trading platform and website. Prior to working Online, Joe spent 8 years working in television and graphic design for companies such as NBC and MTV, in addition to doing freelance commercial production. Joe began working in television production, graphic design and 3D animation professionally when he was 15, and graduated from Hofstra University with a Bachelor's in Communications. He now lives in Connecticut with his wife and 2 children. Stephen is the founder of SproutStart.com which specializes in website, software and mobile application development. Stephen is also a partner with MAVN Funding Advisors which specializes in providing a range of funding and business development services for both investors and emerging growth companies. Since 2009 Stephen has connected 14 different ventures with over $15M in venture funding. Stephen currently sits on the board of directors for the Southern California Venture Network (SCVN.org), a professional networking group focused on helping emerging growth companies and is on the board of RxBra. After graduating college, Stephen was the Entrepreneur Director for the Southern California Keiretsu Forum, the nation's largest angel investment group. Stephen managed the dealflow for the group's 250 local Angel investors. Stephen attended Babson College, the nation's #1 school for entrepreneurship and graduated with a B.S. in business administration, with concentrations in entrepreneurship and marketing, and was awarded a "30 under 30" in Southern CA in 2011. Please note, company listings on this site are suitable only for accredited investors who are familiar with and willing to accept the high risk associated with private investments. Any Investor who intends to utilize this Web site must be an accredited investor. (Please click here for the definition of an accredited investor or go to: www.sec.gov). There has been no investigation as to the accuracy of any information or terms contained herein. There may be errors in the information posted on this site and we strongly suggest that you seek legal counsel prior to commencement of any potential transaction. All materials reviewed on this site are strictly for informational purposed only. FundingPost.com and its affiliated companies are not a registered Securities Broker or Dealer or any other entity regulated under the securities law. FundingPost.com and its affiliated companies do not sell or offer to sell any securities and no information contained on this site is intended to constitute or to be interpreted as any such offer. Any investor requesting to contact a company listed within the site does so at its own risk and is solely responsible for conducting any legal, accounting or due diligence review.